Cleveland Jones. The Firescalds Road to the Sky. Summerville, SC: Holy Fire Publishing, 2009. 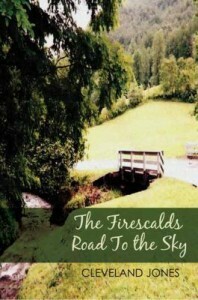 The Firescalds Road to the Sky is the life story of a young boy, called simply RC, growing up during the 1950s and ’60s. As a small child, RC lives happily on his family’s farm in the beautiful Appalachian Mountains. But when hard times come to the farm, RC’s father EC has to go back to work building ships in Newport News, Virginia. Getting by but unhappy at being separated, the family relies on hard work and their Christian faith, somehow finding a way to survive and be together. RC does his part, too: hauling groceries, mowing lawns, delivering papers, and anything else he can for his mother, sisters, and at times faraway father. He even has a furry, fierce companion for a few years: a spirited Airedale named Bobby. But the evils of the world are constantly at hand, and RC must remind himself to follow what he has been taught in order to stay safe and true to his faith. RC’s story is a successful one: he leads an upright, Christian life, and goes to college all the way in California. In the end, though, he returns to his roots in the Appalachians, where he finds what he has somehow always known: his family farm is the true road to Heaven. This book promotes a strong Christian view of modern society and history and is filled with direct quotations from the Bible. It offers an inspiring story of a young man who pulled himself up by his bootstraps and found comfort in both the strength of his family and his religion. Check for this title’s availability in the UNC-Chapel Hill library catalog. Jack Riggs. The Fireman’s Wife. 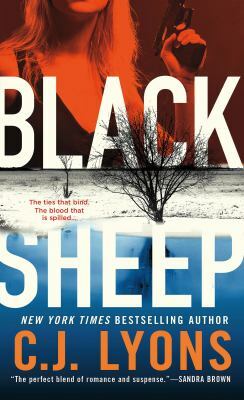 New York: Ballantine Books, 2008. Cassie, a preacher’s daughter, grew up in the N.C. mountains and planned to go to college, but her unplanned pregnancy and subsequent marriage to Peck Johnson put an end to those dreams. Now it is fifteen years later and she still hasn’t found her way. She is having an affair with her husband’s friend, her marriage is crumbling, and she doesn’t quite know what to do with her sullen teenage daughter. As her fire-chief husband fights fires on the South Carolina lowlands, she flees to the mountains. While much of the action in the book takes place in South Carolina, several North Carolina places loom large in the story. Especially important are Cullowhee and Whiteside Mountain, where Cassie grew up and to which she eventually returns. The book’s narration switches between the perspectives of Peck and Cassie over a month-long period in 1970.